Boston Executive Helicopters offers pre-planned tours of Boston, the North and South Shores, Cape Cod, and the Islands. We also conduct tours from any location in New England to any area our clients wish to see. What’s your dream tour? Fly in a luxury turbine powered helicopter with the most experienced pilots in New England. A tour for up to 5 passengers is $699.00 all inclusive. Bring your family and friends for a once in a life time Helicopter Tour of Boston from Norwood, MA. Boston Executive Helicopters flies out of Norwood airport. We proudly possess a perfect safety record and have received the HAI safety award every year of operation. Our helicopters offer spacious and safe 5 passenger turbine powered aircraft which provides a roomy and comfortable ride. The helicopter has an air conditioned or heated cabin with theater style, front facing seats wrapped in custom leather for ultimate comfort. Our helicopters feature wrap around glass for outstanding visibility providing 180 degrees of viewing. 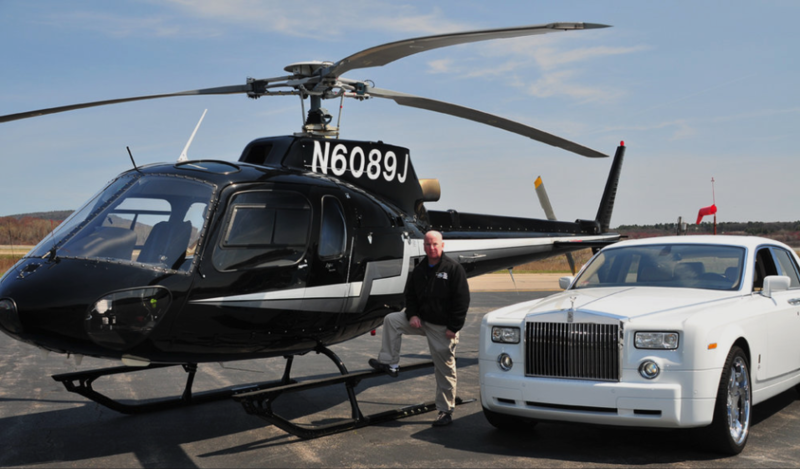 The pilots at Boston Executive Helicopters are the best trained in the world with extensive world wide experience. We offer state-of-the-art helicopters equipped with noise cancelling headsets and voice activated microphones allowing participants to communicate easily with the pilot and other guests. The headsets are also blue tooth compatible for ipods or MP3 players. Each pilot has earned their aviation experience in both civilian and military operations and have logged thousands of hours of flight time to ensure the safest and most enjoyable flight experience for our guests. All flights are personally narrated by the pilots who know Boston like nobody else and will provide an exclusive experience all while effortlessly guiding the helicopter through the skies over the city. Boston Executive Helicopters can also arrange to pick you up at the Granite Links Country Club in Quincy (additional fees may apply) and drop you off for a great meal at the “Tavern” which overlooks the skyline and city of Boston. 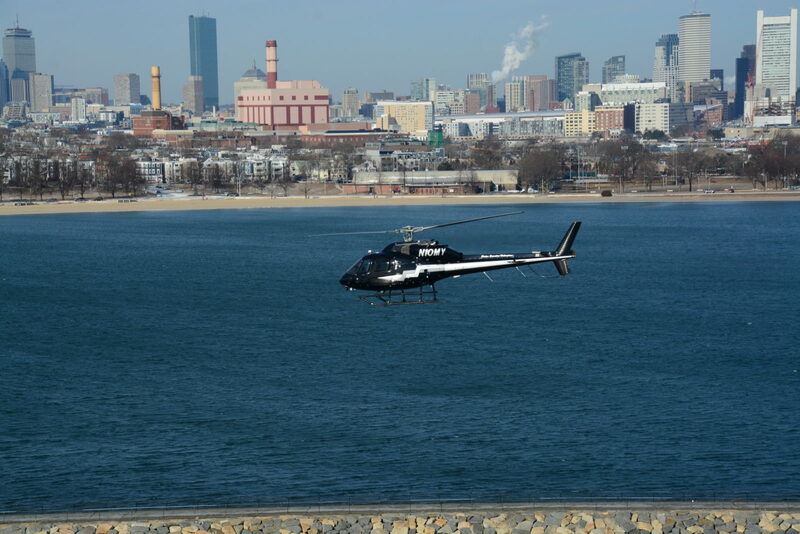 Boston Executive Helicopters is the only helicopter tour operation with a helipad located directly in Metro Boston. Our Quincy helipad is only minutes from downtown, allowing for immediate access to the heart of Boston. In the Boston Skyline Tour you will see the USS Constitution, North End, Financial District, Newbury Street, Fenway Park, Charles River, Longfellow Bridge, Zakim Bunker Hill Bridge, and Bunker Hill Monument. BEH also provides a North Shore tour and a South Shore tour if you want to extend your experience. The pilots are the most experienced in the industry, and contain a wealth of knowledge about this fabulous city and encourage questions along the way. We also offer Gift certificates for that special event. Send us an email today for a quote or to discuss your custom tour and gift. Experience the difference with the best! The Boston Skyline Tour gives you an in-depth look at some of our Boston’s greatest landmarks from a point of view few get to see, above! You will see such historic and famous sights as the USS Constitution, Boston’s North End including the Old North Church, Longfellow and Zakim Bridges, Bunker Hill monument, Charles River, Harvard University, MIT and of course Fenway Park home of the Boston Red Sox. Have another Boston sight that you want to see from the sky? Let us know before your trip and we’ll be sure to include it in your tour. Our pilots are the most experienced in the industry, contain a wealth of knowledge about this fabulous city and encourage questions along the way. Boston Executive Helicopter’s North Shore Tour will take you up the coast from Boston all the way to Rockport. We’ll fly you over the rocky cliffs, sweeping beaches and coastal towns that are quintessentially New England. Along the way you will get to see Broad Sound, Nahant Bay, Beverly Harbor and the seaports of Salem, Gloucester and Rockport. Love lighthouses? Then the Boston North Shore Tour is YOUR tour! Some of the magnificent New England lighthouses we’ll pass along the way are: Marblehead, Derby Wharf, Fort Pickering/Winter Island, Hospital Point, Annisquam, Straightsmouth Island and the Baker’s Island Twin Lights. On the South Shore Tour we’ll head south from Norwood passing over New England Patriot’s home turf at Gillette Stadium (non-game days), then cross over the countless Cranberry Bogs of Middleborough and Carver to reach the coast, where on a clear day you might just be able to see Provincetown in the distance at the tip of Cape Cod. Coming up along coastal Plymouth you will see many landmarks of the rich history of Massachusetts’s South Coast including Plimoth Plantation, Mayflower II, Burial Hill, Forefather’s Monument and Cordage Park, once the world’s largest rope-making facility. Continuing up the South Shore you’ll get a bird’s eye view of Saquish, Gurnet Point, the Duxbury Pier Lighthouse, and the Salt Marshes in Marshfield. Finally, we pass over the Scituate Lighthouse and Minot’s Ledge Lighthouse before heading back. (Note: if departing from Quincy tour may be reversed). As the premier Helicopter Tour company in New England, Boston Executive Helicopter Tour’s also offers custom helicopter tours. Let us know what you are interested in seeing and we will make a customized tour just for you!